2017 is so close that I can almost see it! As we know, a new year symbolizes new opportunities, new beginnings and new GOALS. But do we really have to wait for the new year to start thinking about new goals? These last days are perfect to have a look back and reflect about all we have accomplished -or not- during 2016. 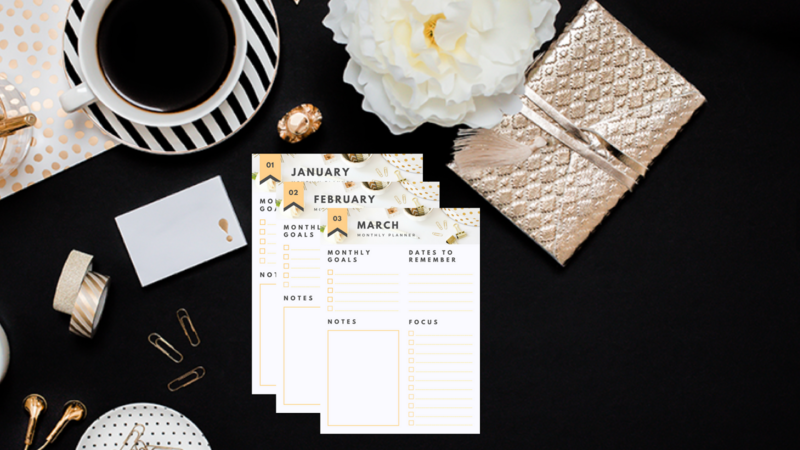 While looking around for new planners for the next year, I realized that most of them are mainly planners for your daily schedule, appointments, meetings etc.,. And while that are great for that purpose, they are not helpful for long-term planning. 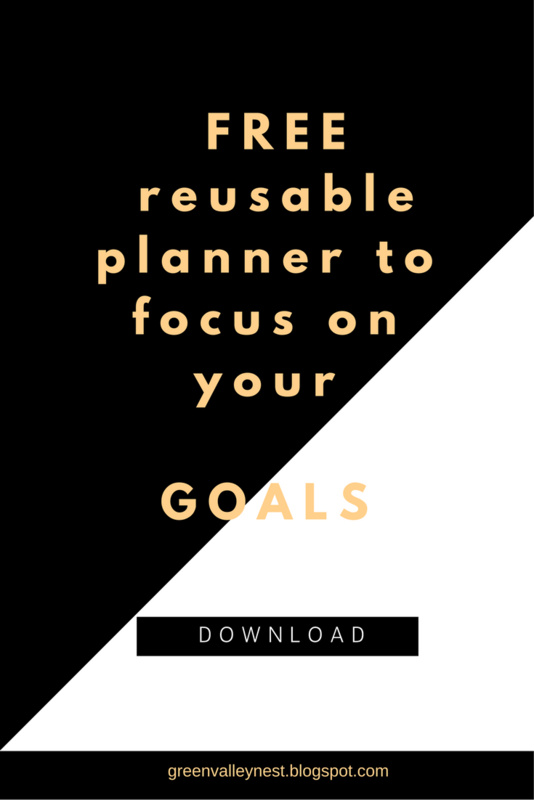 Then I started to visualize what it would be like to have long-term planners where you can write down some goals and focus to accomplish them. So, I decided to create my own and also to share it here on the blog. More often than not, we hear or read about how most people quickly abandon their "new year resolutions" after the first weeks in January. The truth is that we are on such a "digital overload", that sometimes is difficult to focus on our goals. That's why this planner is simple and to the point: think about your monthly goal/s and focus on what you really need to do to accomplish it/them. 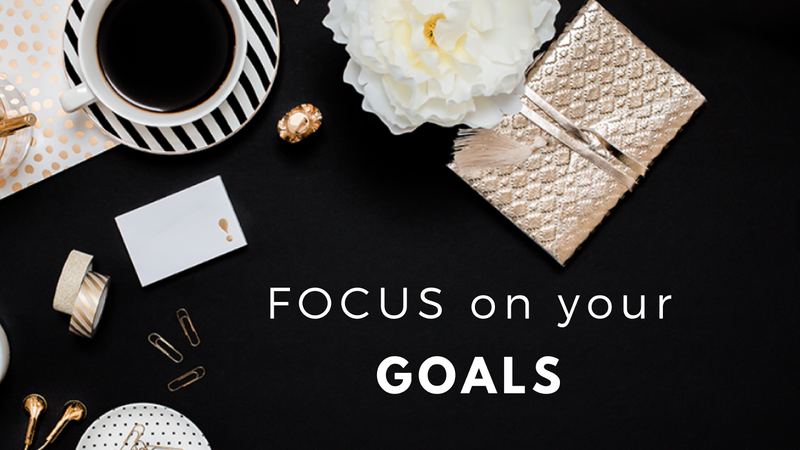 Less goals and more focus is the key to not feeling frustrated by mid-January and quit it all too soon. When I was creating this planner, I thought about what I really wanted out of it that other planners are not offering. First of all, we all know that we are most likely to accomplish our goals when we write them down. So the first step will be to write down some goals for some aspects of your life that you want to improve in 2017. Those could be personal, professional, health-related, environmental or whatever that you feel the need to. 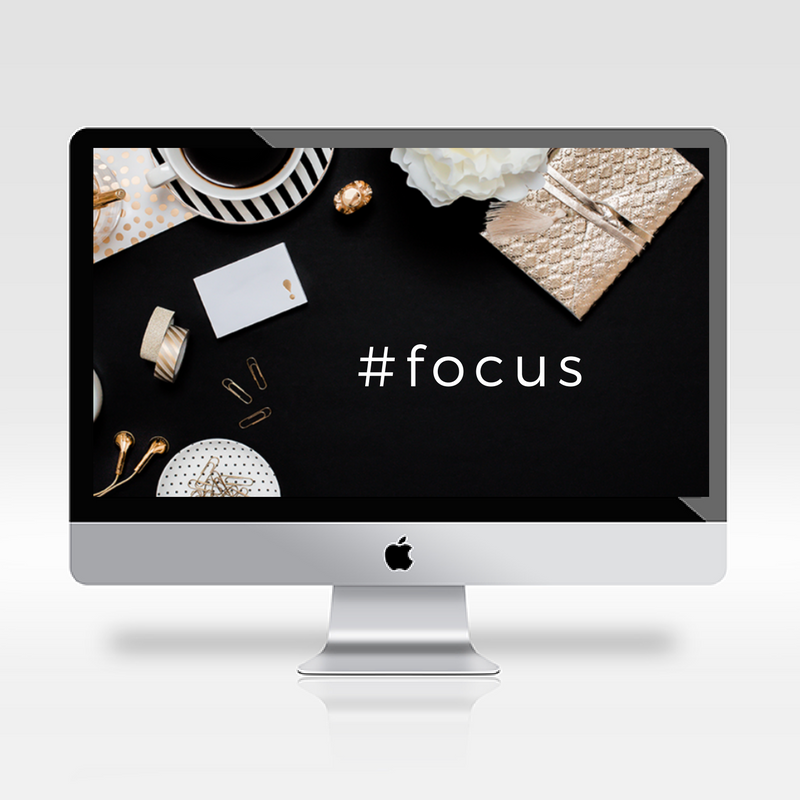 Then, for the "focus" part, I thought that it could be useful to just focus on one or two things at the time. You could have the same goal month after month, but you could change your focus every month or even every week. For example, if your goal is to have a better work-life balance, you could start by focusing on not opening work-related emails at home, reducing the hours you stay after work, or saying "no" to projects that add an extra burden on your plate. By focusing on one thing at the time, your goal stays strong and you feel more successful in your path to achieving it. So for the "focus" section on the planner, think about small steps that will help you reach your goal. For the "notes" section, I thought it would be beneficial to dedicate a section to the unexpected, the situations that may threaten the achievement of your goal. So, that section could be re-visit month after month to see if there are some patterns in the obstacles that present themselves before you. In other words, write down the possible as well as the real challenges. The "dates to remember" section, is more for accountability or to keep track of your progress. 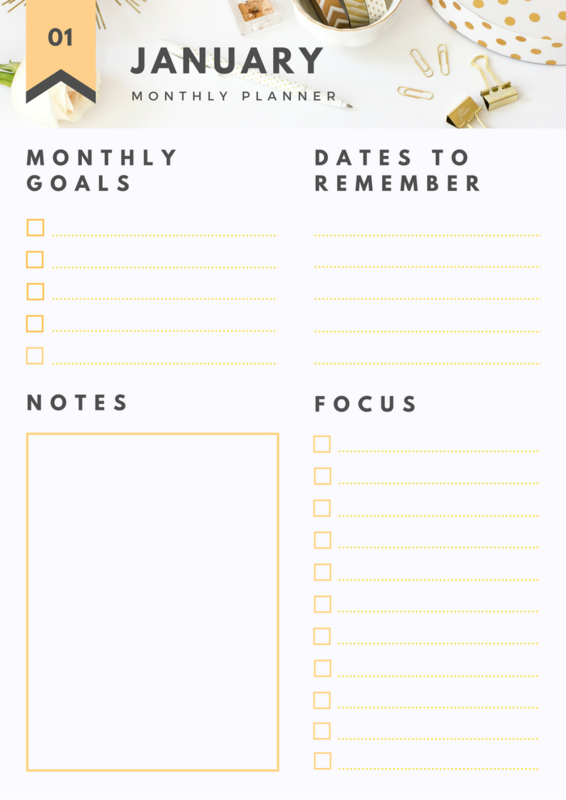 You could write down your goals and set a date by when you want to see your results. Finally, place it where you can see it. A constant reminder will be your best friend. Of course, these are my suggestions. I'm sure you will find new/different uses that I haven't thought about. If you do, please share in the comments below. I hope this planner helps you to accomplish all your goals -big and small- during 2017! Click below to grab it, and don't forget to pin it! Thanks for reading and have a HAPPY, HAPPY 2017!